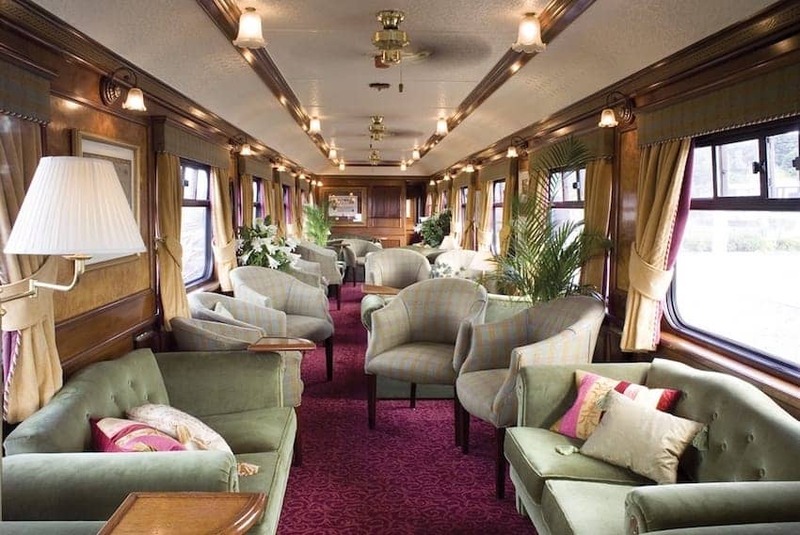 Belmond Royal Scotsman is a luxury charter train offering 2 to 7 night tours of the Scottish Highlands starting at Edinburgh. High standards of service, accommodation and cuisine are on offer in a Scottish 5-star country house hotel atmosphere. Passengers sleep in wood panelled staterooms and dine in the restaurant car which dates back to 1945. The maximum number of passengers is just 36. This is a combination of superb scenery and all-inclusive luxury on one of Britain's most amazing train routes. Off-train excursions such as a guided tour of a whisky distillery can also be added.